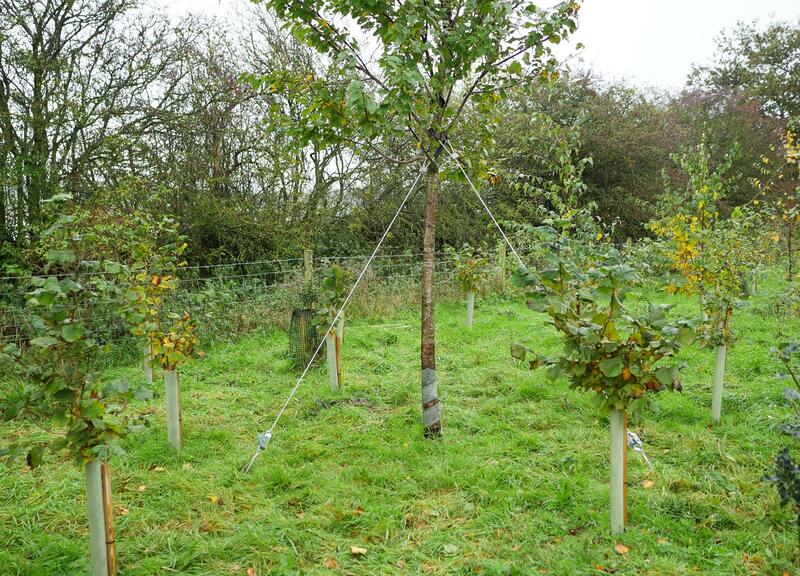 Anchor Systems offer an extensive range of tree kits, providing a discreet anchoring system for securing newly planted trees of all sizes in most situations. 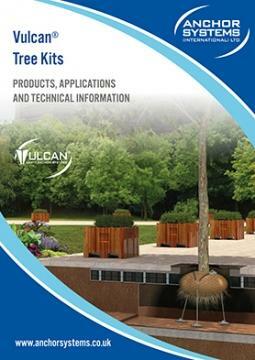 Our widely used tree kits are strong, durable, practical and very cost effective. 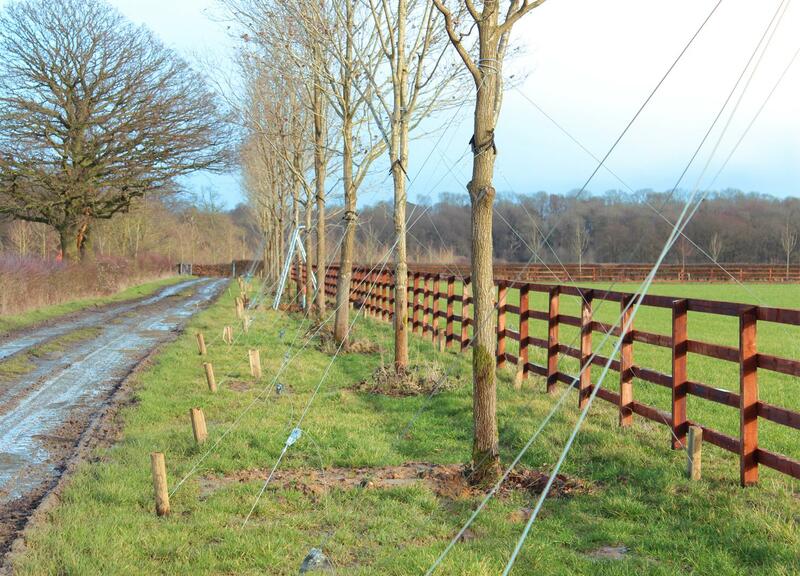 Our Vulcan Tree Anchoring Systems are the preferred method of securing saplings, Rootballs and supporting established trees. The speed of installation and simplicity of the systems makes Anchor Systems (International) Ltd the market leader for these range of products. A range of systems are available to suit a wide variety of applications and your specific requirements can be accommodated. 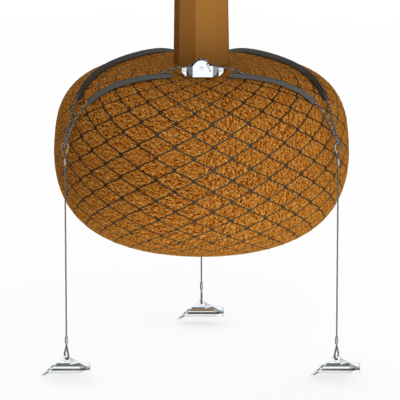 Our systems are simple to install, easy to adjust and user friendly. Anchor Systems has been constantly developing, innovating and updating our extensive range of unique over ground and underground fixing solutions to suit all applications. 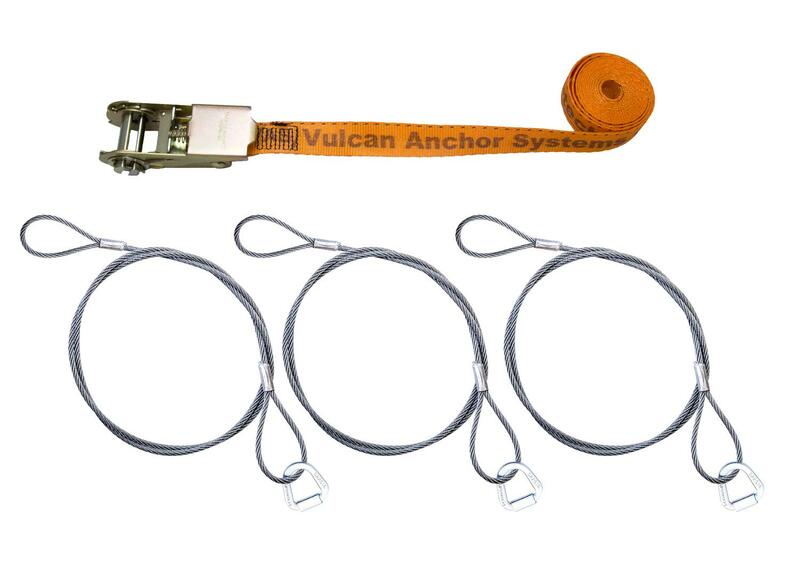 Why choose Vulcan tree anchor systems? 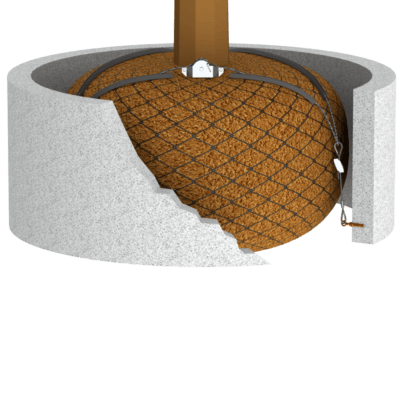 The Rootball Wired Fixing Kit is the ideal solution for underground securing of newly planted rootballed and containerised trees without the need for any over ground support. 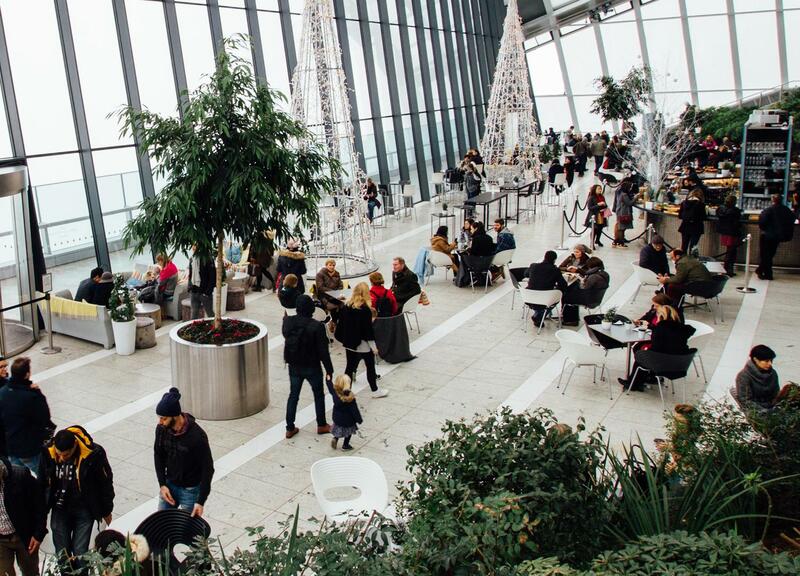 The kit has been assembled to provide the best possible start for the new planting, delivering security, safety and peace of mind for the installer as well as being aesthetically pleasing. 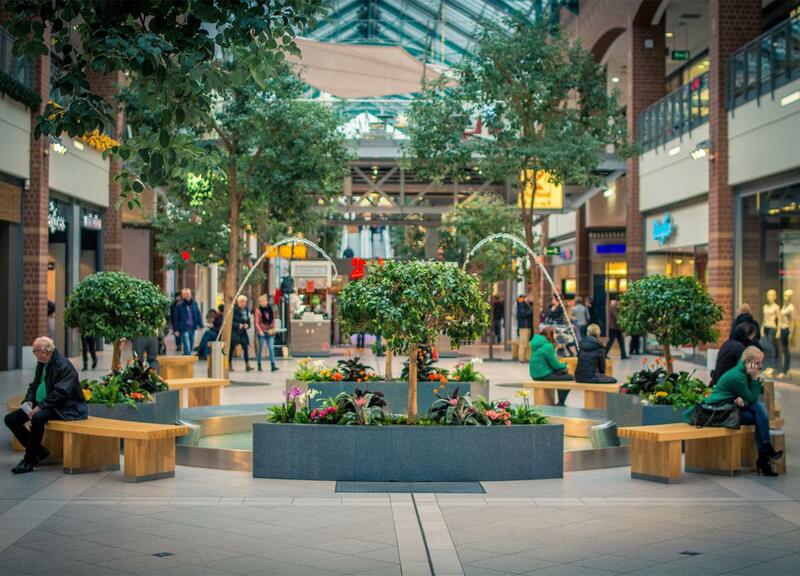 The kits are available in five sizes to suit tree sizes from light standard to semi mature. 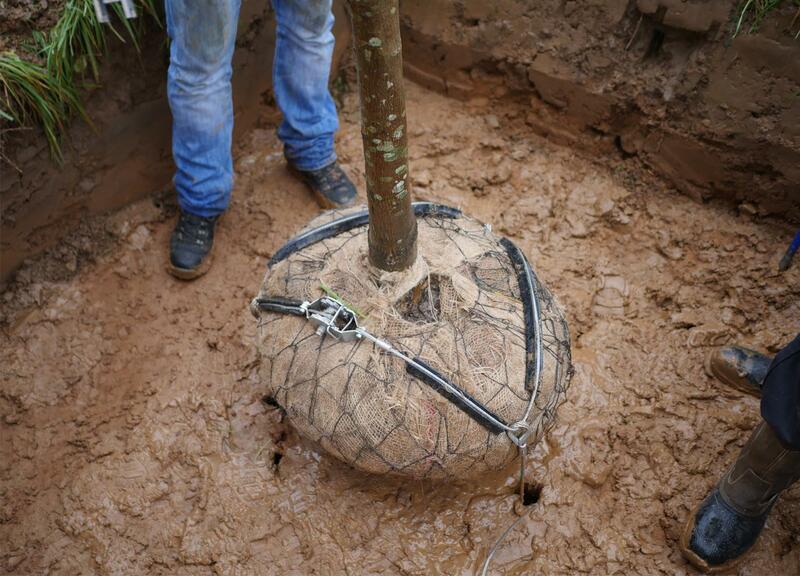 They are simple to install offering precise positioning for the anchor points, with high strength tensile wires that incorporate rootball protectors spreading the load and preventing damage to the tree’s root structure. 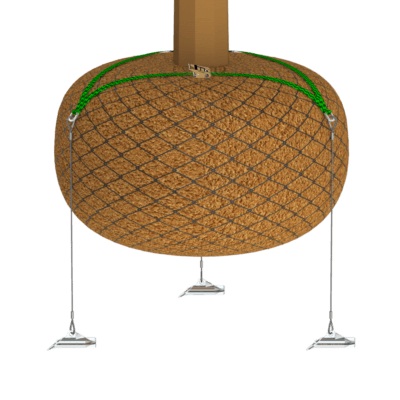 The Rootball Strap Fixing Kit incorporates webbed strapping to provide the necessary positioning and anchoring for newly planted rootballed and containerised trees. 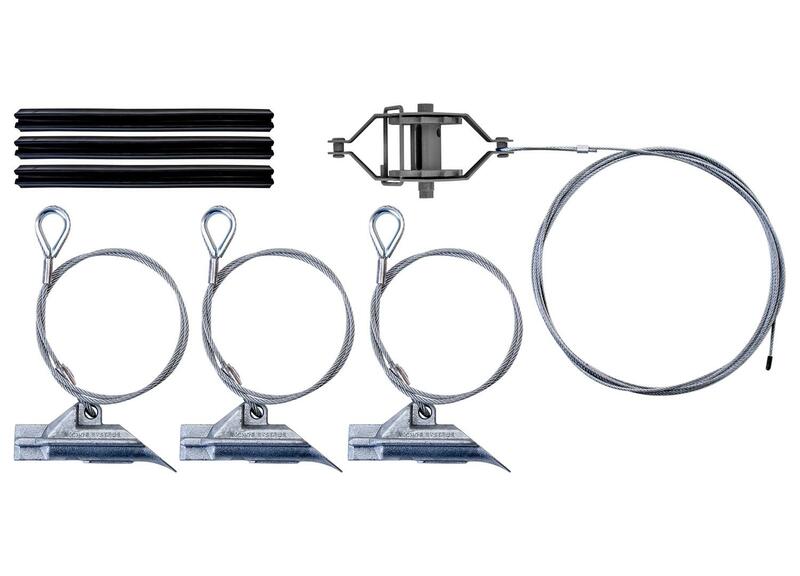 A more superior alternative to traditional staking and belting, the strap kit will prevent leaning trees offering peace of mind for the installer. 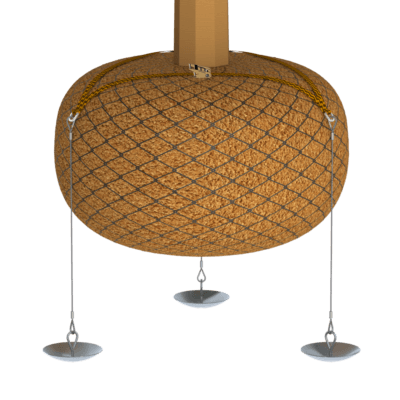 Simple to install, the webbed strapping includes a ratchet tensioner that provides the ideal level of fastening whilst also preventing damage to the tree’s root structure. 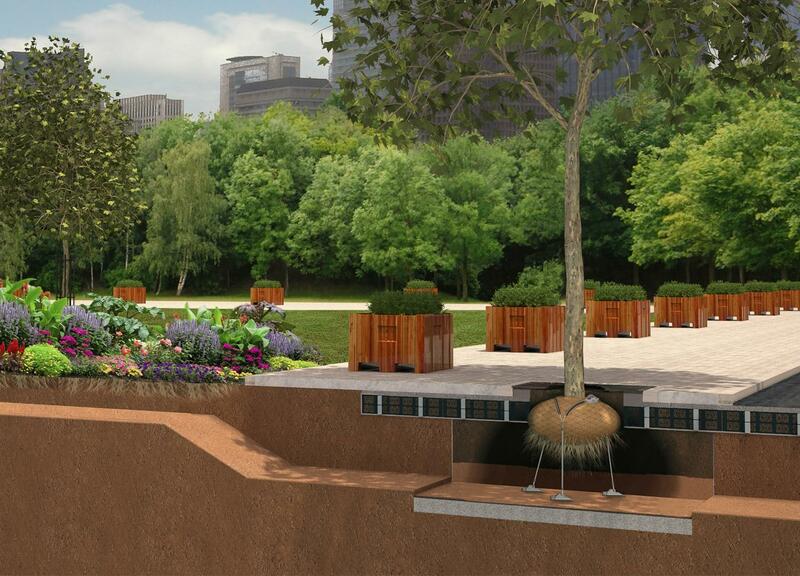 Where trees are being installed in urban environments, care must be taken to avoid utilities and services and it is therefore not always possible to drive anchors into the ground. 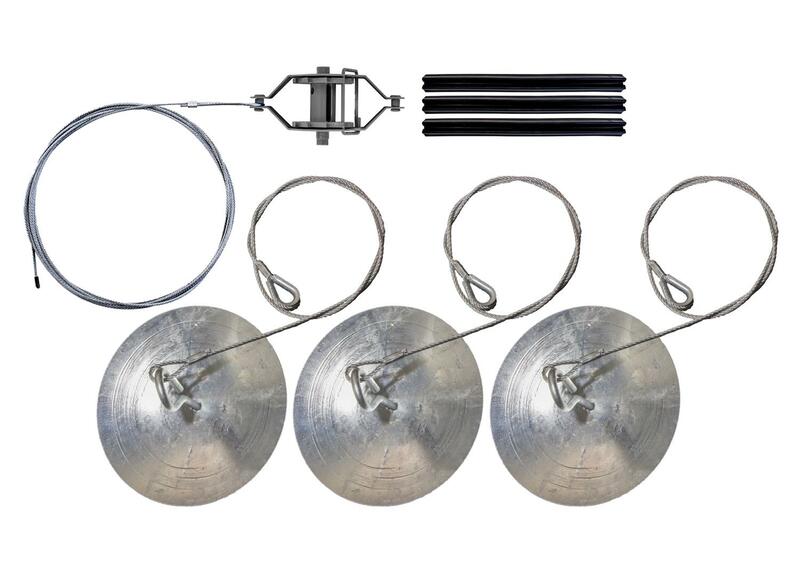 The Wired Dead Man Kit uses high tensile wires over rubber rootball protectors to spread the load and prevent damage. 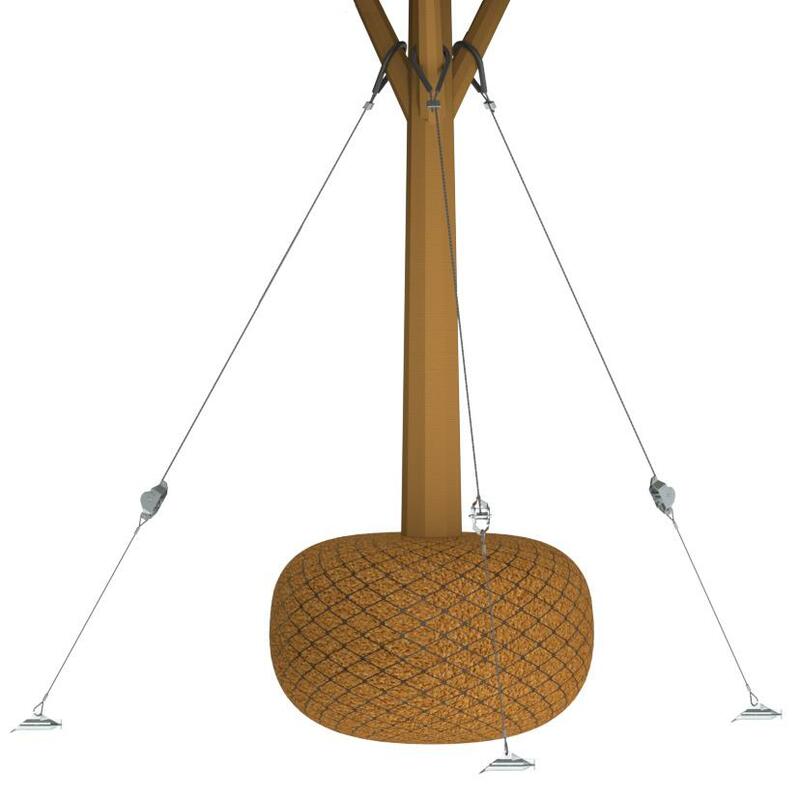 These are then attached to heavy objects such as sleepers and kerbstones that may already be in place to weigh down the tree. Well compacted subsoil is then placed over the sleepers and kerbstones to provide added weight and security for the tree. 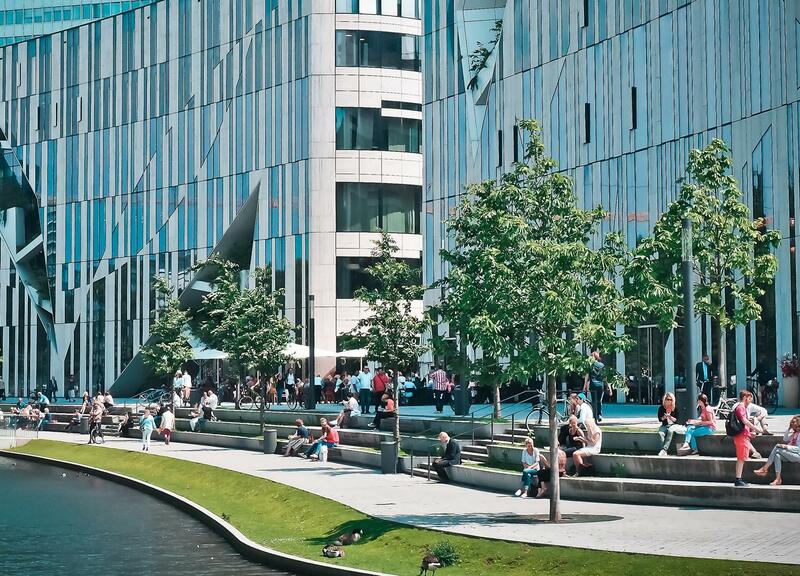 This tried and tested system has been incorporated into many rail, utilities and urban projects across the UK. 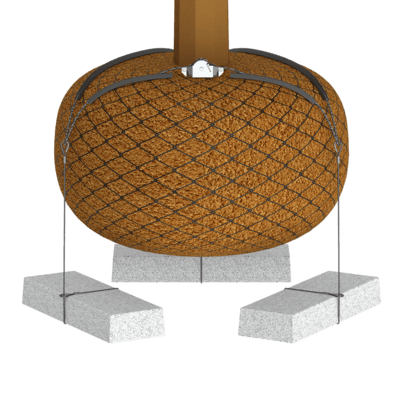 By utilising sleepers or kerbstones this provides the perfect solution for situations where you cannot drive traditional anchors into the ground due to underground utilities or in non-displaceable ground. 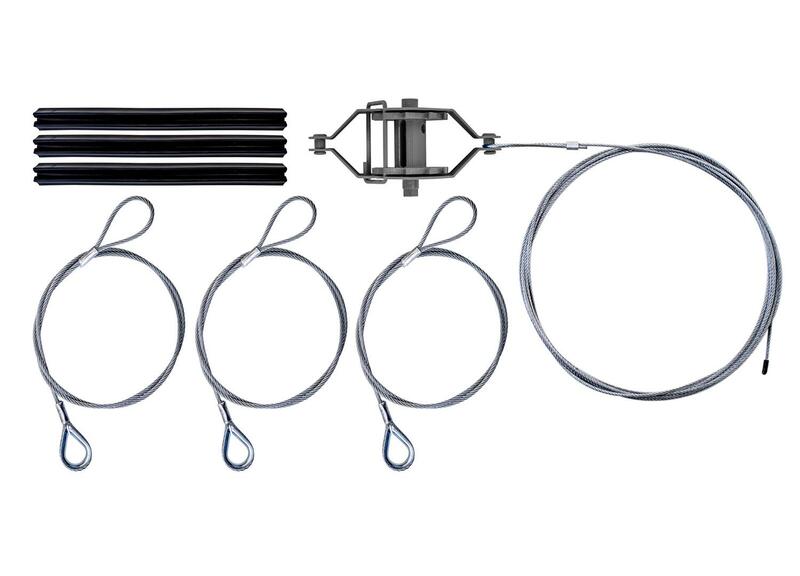 Like the Rootball Strap Kit, the Dead Man Strap Kit will prevent leaning trees, offering peace of mind for the installer. 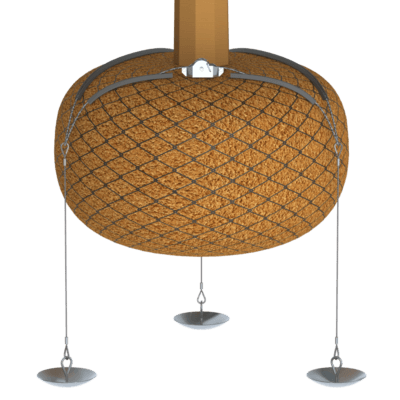 Simple to install, the webbed strapping includes a ratchet tensioner that provides the ideal level of fastening whilst also preventing damage to the tree’s root structure. 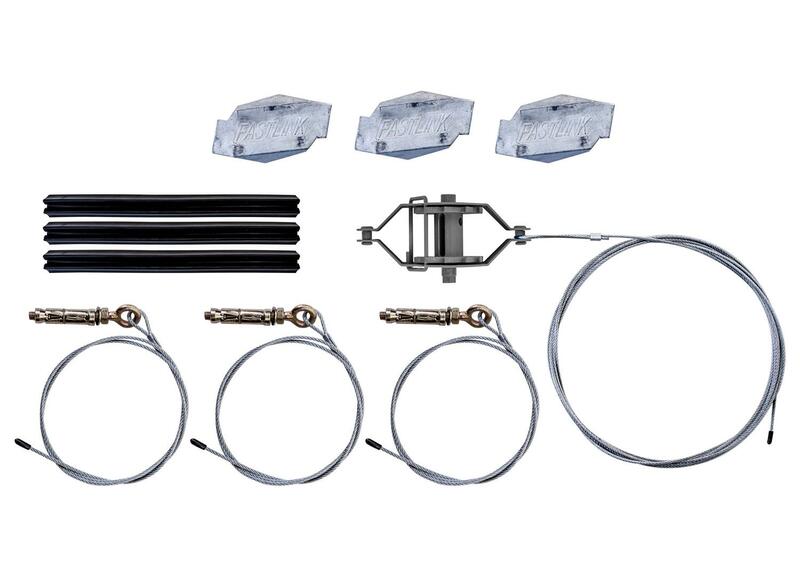 The Drop-Man Kit is our newest system to join our tree kit range. 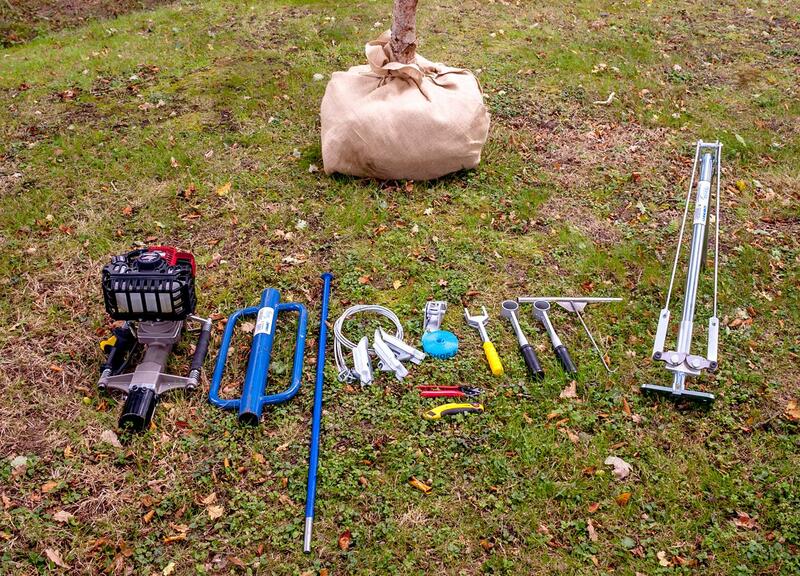 As part of our ongoing commitment to innovation and providing solutions for our clients we designed a new tree kit system that works in a similar way to our Dead Man Kit. 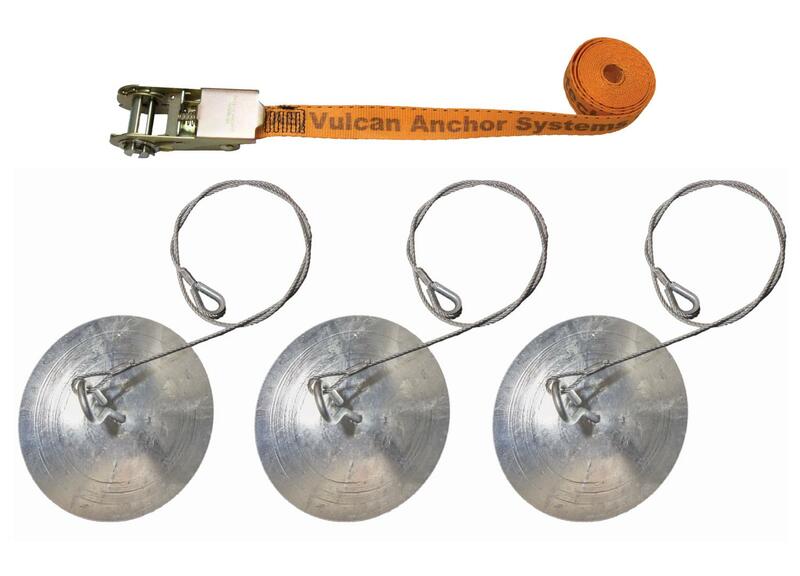 The Drop-Man plates are used to weigh down the tree when traditional anchors cannot be used and there are no heavy objects already available on site to use with a Dead Man Kit. Having all components in one kit makes it easier and more cost effective than having to source kerbstones or sleepers separately. 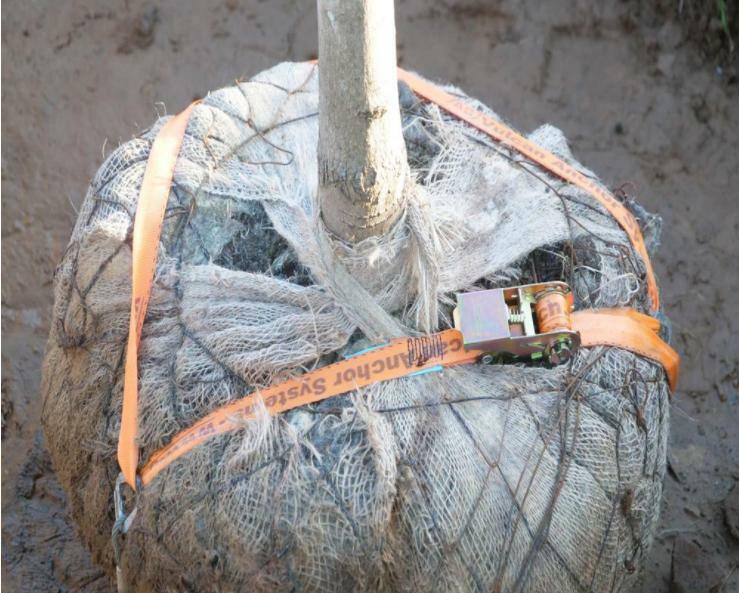 The Containerised Rootball Fixing Kit is the preferred method of securing saplings and rootball trees in planters and containers. 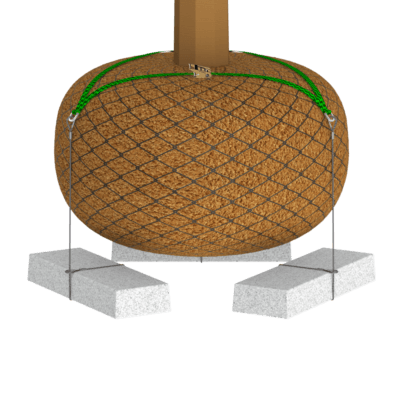 Ideal for roof garden planting projects, the kit provides the flexibility and security of being able to plant trees above ground. 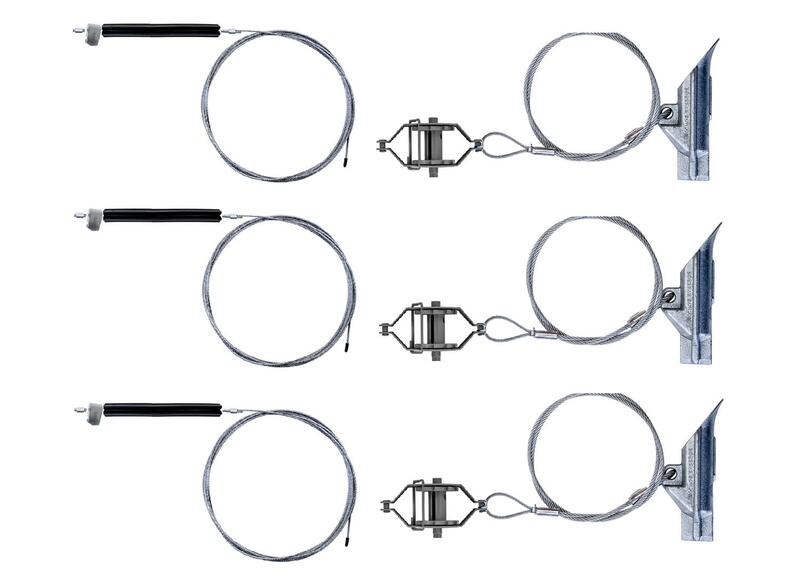 The kit replaces traditional anchors with 3 eye-bolts that can be secured into the solid base of a container, planter or even roof top, this offers a discreet securing system that will not impact on the over- all design.